ISTANBUL – Turkey’s prime minister said on Tuesday he would not tolerate any attempt to undermine President Tayyip Erdogan’s authority during the AK Party’s talks to form a coalition government. 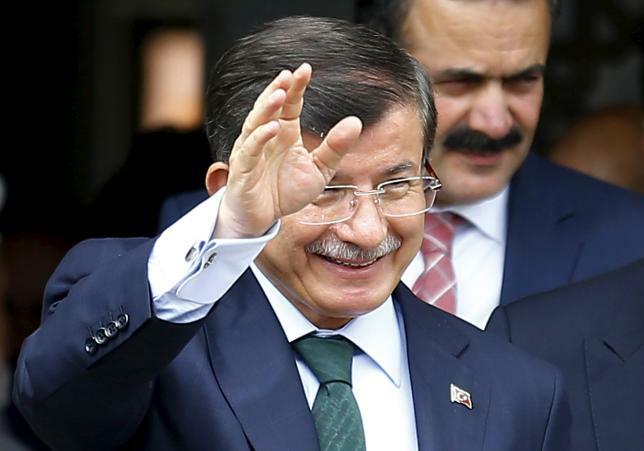 Prime Minister Ahmet Davutoglu has said his ruling AK Party, which lost its overall majority for the first time in 13 years in June 7 elections, would exhaust all options to form a government before it would consider an early election. But such negotiations would not include a debate on the role of the presidency, Davutoglu said, which may give pause to opposition parties concerned about Erdogan’s outsize political influence. Erdogan stepped down as prime minister last year and assumed the presidency with the aim of transforming a largely figurehead position into a powerful executive post. Over the last year, he has played an active role in government that his opponents say violates the constitution. The elections failed to produce the two-thirds majority Erdogan wanted, which would have allowed the AKP to change the constitution and hand him greater power. Opposition parties have suggested they would not tolerate Erdogan, by far Turkey’s most popular leader, meddling in any coalition government. Davutoglu also called on both the main opposition Republican People’s Party (CHP) and the rightist Nationalist Movement Party (MHP) to assess the election results from the “perspective of the people”, in an apparent attempt to accelerate negotiations. The MHP has been seen as the most likely potential partner in a coalition government.